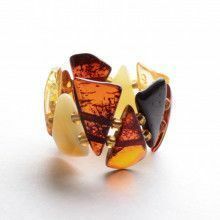 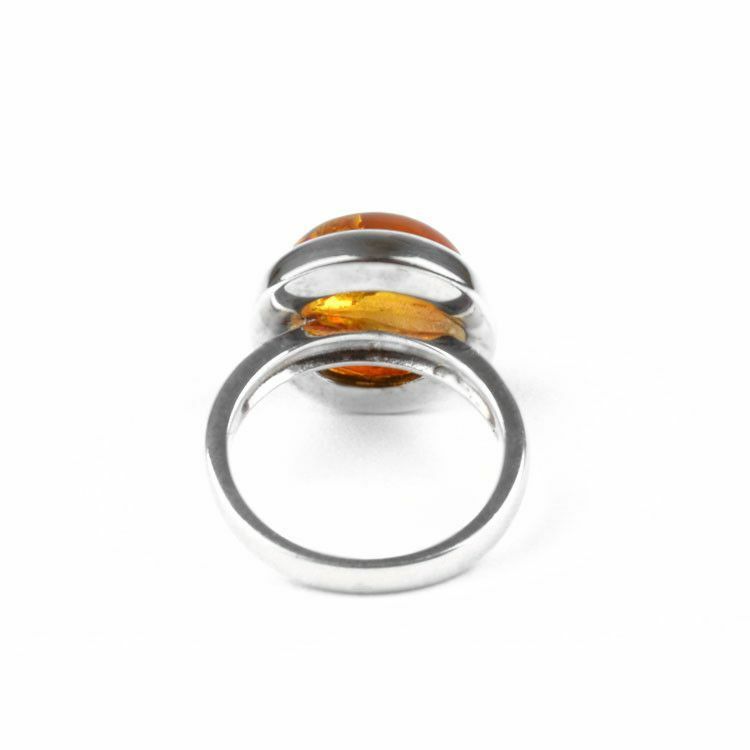 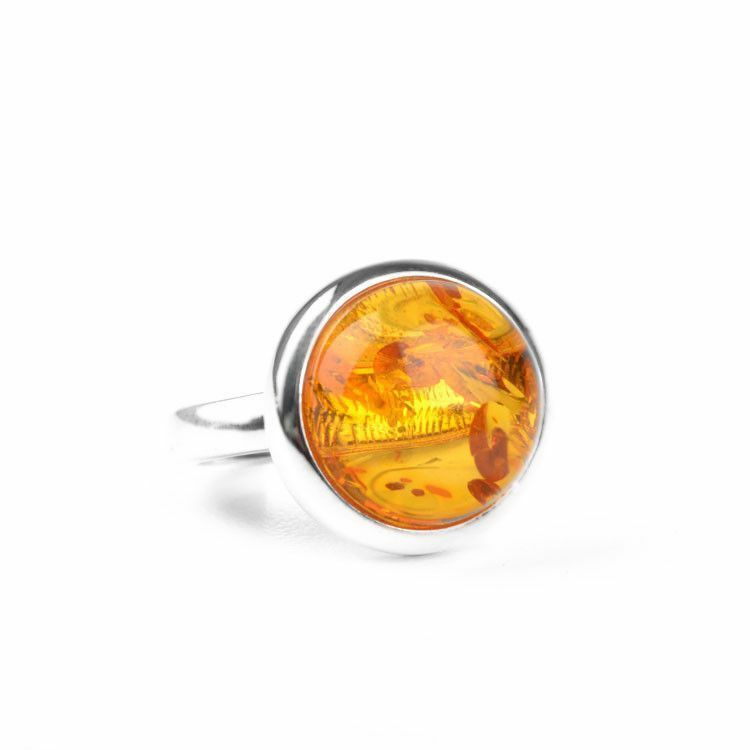 This hand crafted ring features a light, translucent honey amber stone set in sterling silver. 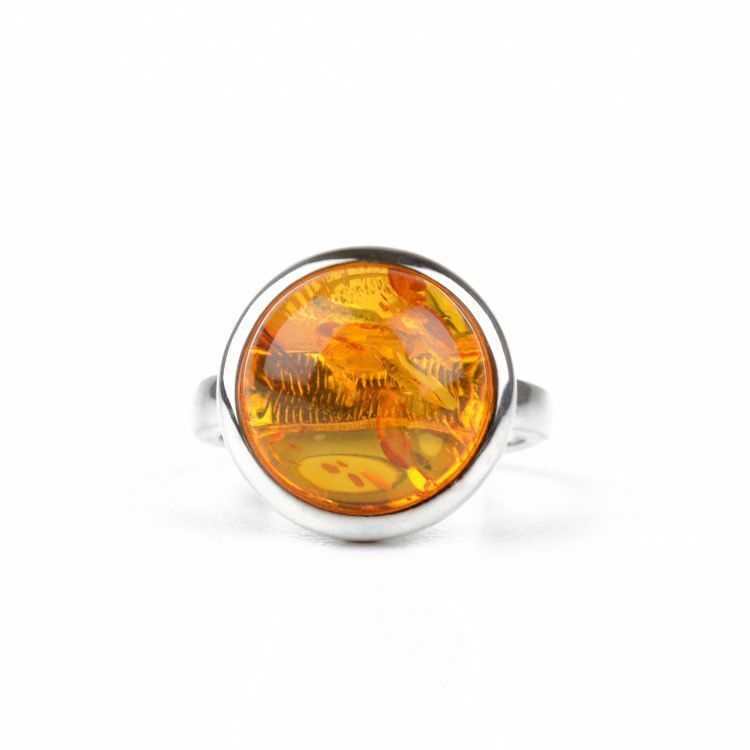 The genuine Baltic Sea amber hemisphere is about 1/2" in diameter and 1/4" thick. 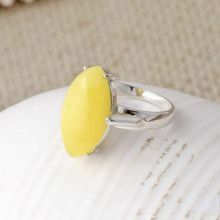 The simple and classic design of this size 5 ring means it will never go out of style.